Four new light works by the US artist James Turrell and the acclaimed oil installation 20:50 by the UK sculptor Richard Wilson go on show this month in a new wing of the Museum of Old and New Art (Mona) in Hobart, Tasmania, alongside other new works. Australia’s largest private museum, established by the collector and gambling millionaire David Walsh in 2011, is due to open the annexe, named Pharos, today (26 December) according to the museum website. The extension is built over the River Derwent and connects the museum’s main building to its library. 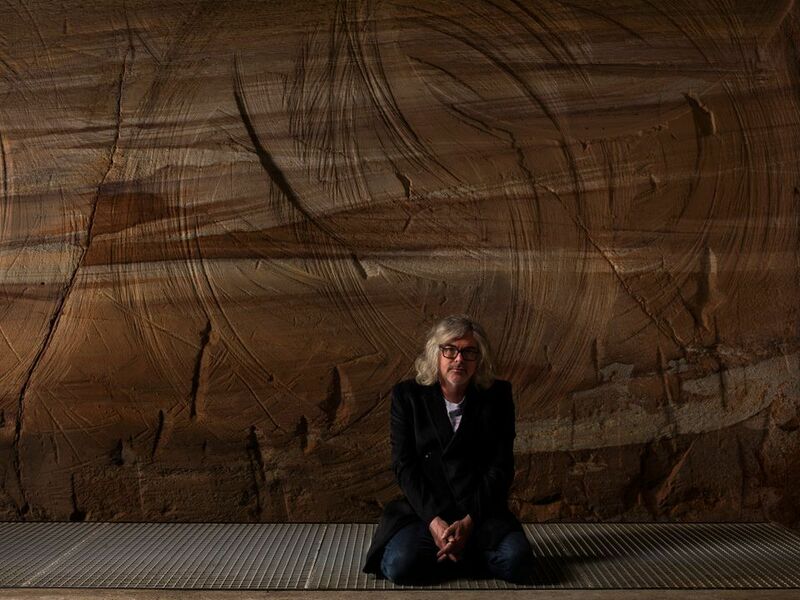 "Mona is an excavation of the underside of human nature. And now we've built a new wing, called Pharos, to round out the metaphor. A crack of light... and a nice spot to sit down, because people are always complaining there aren't enough chairs in the museum," the website adds. A light tunnel by Turrell “guides visitors into the new wing and provoke the sensation of floating in space”, according to a statement from the museum. The central space hosts three other perception-bending works from Turrell’s Ganzfeld, Perceptual Cell and Dark Space series. Walsh bought 20:50 from the London-based collector Charles Saatchi in 2015. It consists of a gallery filled to waist height with recycled engine oil. A walkway extends from a single entrance, leading viewers into the space until they are surrounded by oil on three sides. Pharos also houses Jean Tinguely’s kinetic sculpture Memorial to Sacred Wind or the Tomb of Kamikaze (1969) and 12 light prism pieces by the US sculptor Charles Ross. The New York-based artist Randy Polumbo is creating a “silver, LED-lit grotto of flowers made from glass-blown dildoes”. The late Korean artist Nam June Paik, who is considered a video art pioneer, also features. The budget for the new extension is around A$8m ($6m) and the art has cost another A$2m to A$3m, according to Walsh’s statements to the press. CLARIFICATION (27 December): "Pharos cost approximately A$32m, the art at least A$8m," a Mona spokeswoman says.